Another classic lure with world wide credentials and the records to prove it. One of our biggest lures at 17 inches. 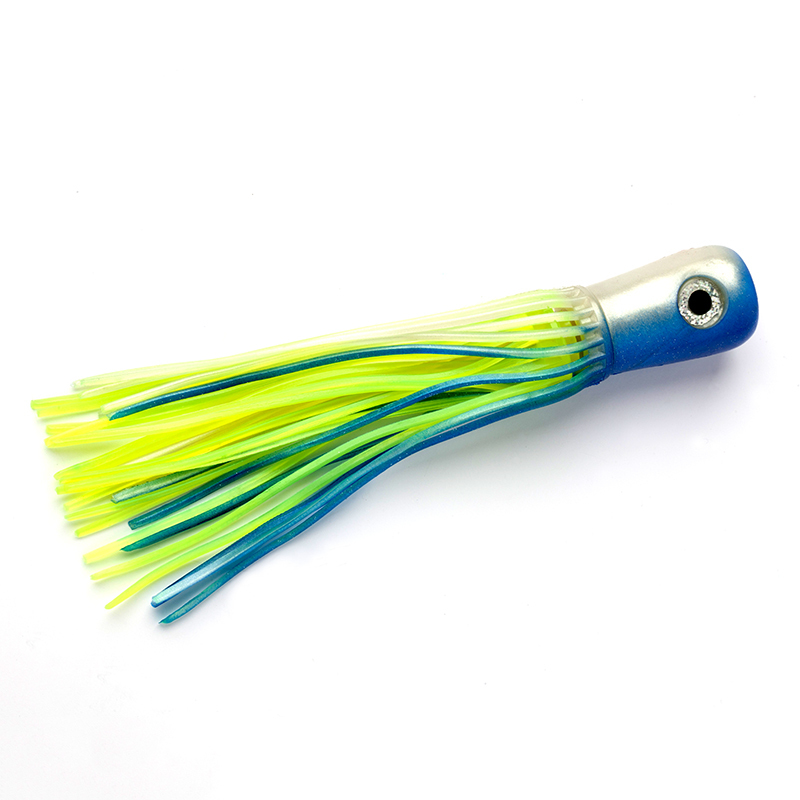 This lure is named after its ability to cope with a wide range of trolling speeds, from 4 to 14 knots. The large, heavy head gives the lure more stability at speed or in rougher water. The pattern is a noted marlin lure, and the records from around the world testify to its success and adaptability. This is a serious lure for serious fish. Available rigged or unrigged.